A Massachusetts man has been found guilty of violating a Muslim woman's civil rights when he accosted and attacked her on an MBTA train in June 2017. A Massachusetts man has been found guilty of violating a Muslim woman's civil rights when he accosted and attacked her on an MBTA train. In a jury-waived trial, a judge found 36-year-old Sean Devlin guilty on four counts of assault and battery and one count each of assault and battery to intimidate, violation of constitutional rights and destruction of property under $250. 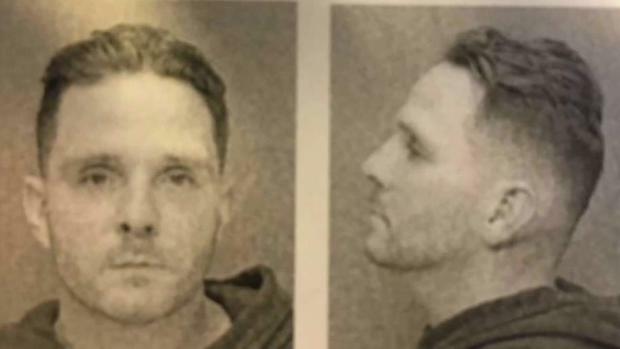 The North Reading man was arrested and charged in June 2017 after he yelled anti-Muslim slurs at a woman wearing a headscarf and falsely claimed she had a bomb during a tirade on an Orange Line train. "I'm so so happy. I'm so so happy that it's over," said 63-year-old victim Malika Touirtou. 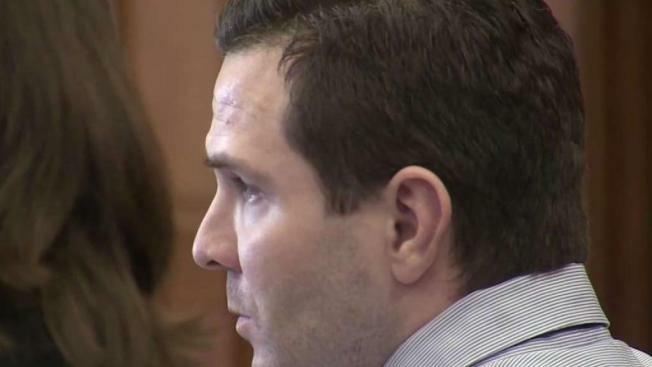 Opening statements wrapped up Wednesday in the trial of a Massachusetts man accused of assaulting a woman on the MBTA's Orange Line in the summer of 2017. Outside court after the verdict was read, Touirtou was nothing but grateful. "Thank you very much," she said. "God bless America." 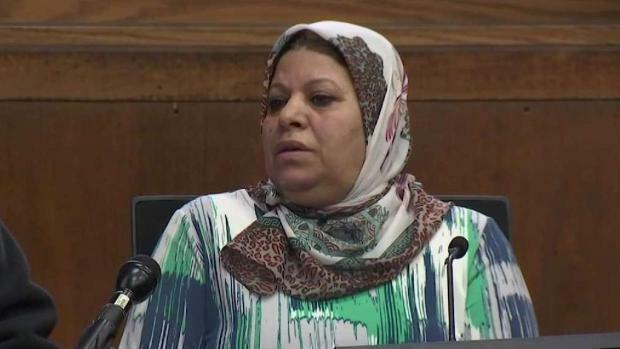 While on the stand on Wednesday, Touirtou recounted the attack. The East Boston resident said it started when the suspect overheard her speaking Arabic on the phone to her brother. "He said, 'Why are you wearing a hijab on your head? Go back to your country. Why are you here? Go back to your country,'" Touirtou said through a translator. Touirtou, who lived in Malden at the time of the incident, was heading home from her mosque in Roxbury after a long day of prayer. She said Devlin also kicked her and hit her in the back with an umbrella. He then allegedly punched a window on the train until it shattered. A Massachusetts man is facing civil rights and bomb threat charges after he yelled anti-Muslim slurs at a woman wearing a headscarf and falsely claimed she had a bomb during a tirade on an Orange Line train on Monday night. Several witnesses took the stand for the prosecution, including MBTA Transit Police officers and an MBTA passenger who heard Devlin yelling Touirtou had a bomb on the train. "He began exclaiming that one of the women had a bomb in her bag that she was Muslim and had a bomb in her bag," recalled witness Daniel Sullivan. Arguing the assault charge, the defense was quick to point out that Touirtou declined medical attention and did not notice a bruise until a week later. Devlin did not take the stand in his own defense. According to the police report, when officers asked him if he had been drinking the night of the incident, he told them, "obviously not enough." Devlin has several prior felony convictions and state prison sentences for armed robbery and breaking and entering. Devlin could face the maximum penalty of 3 years behind bars when he is sentenced Friday morning.